IRP’s Emerging Poverty Scholars Fellowships provide exceptional junior scholars from underrepresented racial and ethnic populations with flexible funding over a one-year award period. fostering interaction among a diverse set of scholars in order to broaden the corps of U.S. poverty researchers. Beyond providing Fellows with flexible funding and opportunities for expanding their networks and receiving feedback on their research and career trajectories, the program intends to establish long-term relationships between Fellows and other poverty scholars, which may lead to future collaborations. The Emerging Poverty Scholars Fellowships are provided with generous funding from The JPB Foundation. Stephanie L. Canizales is an assistant professor of sociology at Texas A&M University. She specializes in international migration, inequality, poverty, and mobility; race/ethnicity, children and youth, and Latina/o sociology. Her dissertation book project, entitled Finding Home, is a study of unaccompanied minor migration and integration into U.S. society. She systematically examines why undocumented, unaccompanied Central American and Mexican youth migrate to Los Angeles, California, and how they incorporate into school, work, family, and community life as they come of age without parents. 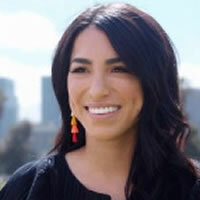 Her next project will more closely analyze youths’ experiences as labor migrants, their entry into and participation in the U.S. workforce and economy, and to further investigate the strategies youth employ to navigate poverty and mobility in a timely manner. 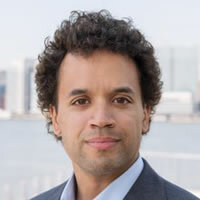 Jacob William Faber is an assistant professor of sociology and public service at New York University’s Robert F. Wagner School of Public Service. His research and teaching focuses on spatial inequality; specifically, the mechanisms responsible for sorting individuals across space and how the distribution of people by race and class interacts with systems to create and sustain economic disparities. He leverages observational and experimental methods to study the mechanisms responsible for this sorting and how the distribution of people by race and class interacts with political, social, and ecological systems to create and sustain economic disparities. A new project will analyze how, due to widening inequality, the financial risks of homeownership and educational attainment—two pathways to economic mobility—may be most severe for low-income persons. 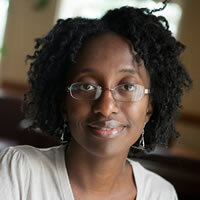 Jamila Michener is an assistant professor in the Department of Government at Cornell University. Her research focuses on poverty, racial inequality and public policy in the United States. Her recent book, Fragmented Democracy: Medicaid, Federalism and Unequal Politics (Cambridge University Press) examines how Medicaid affects democratic citizenship. Fragmented Democracy assesses American political life from the vantage point(s) of those who are living in or near poverty, (disproportionately) black or Latino, and reliant on a federated government for vital resources. New work will ultimately result in a book on the determinants and consequences of unequal access to civil representation for low-income Americans and how lack of access to civil justice can deepen poverty and reproduce inequality.